Can I use my Disney 21-Day Ultimate Ticket to visit more than one park in a day? Yes, you could visit all six Disney parks in the same day should you want to do so! 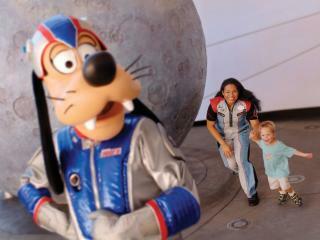 With the Disney 21 Day Ultimate Ticket you have complete freedom to come and go as you please. Do these Disney Tickets ever expire? Yes, the ticket expires 21 days after the date of first use. Memory Maker is an exciting Disney product which allows you to keep all the photographs taken of you and your family by Disney PhotoPass photographers and all Disney ride photographs. Your photos are linked to your Disney account, so you can download from the Disney PhotoPass site as many times as you like. This fantastic product normally costs up to $199 per person, but is available with Disney adult tickets as an exclusive added bonus for UK and Irish customers pre-purchasing Disney Tickets. The DisneyPhotoPass service has been created to get the whole family in the picture capturing Disney memories like your family posing together in front of Cinderella Castle or screaming down Splash Mountain. However, the Memory Maker entitlement can only be linked to one guest ticket/ticket and only the person who has the Memory Maker entitlement linked to their Disney ticket/account can download the photos taken. The Memory Maker Guest must be present in order to get the photos sent to their Disney account.